يشكل Katoomba Mountain Lodge بموقعه الممتاز في المدينة نقطة انطلاق جيدة لاستكشاف أفضل ما فيها من معالم ومناطق نابضة بالحياة. يمكن من هنا للضيوف الاستمتاع بسهولة الوصول إلى كل ما تقدمه هذه المدينة النابضة بالحياة. يوفر العقار بفضل موقعة الجيد وصولاً سهلاً إلى أهم معالم المدينة.
. إن Katoomba Mountain Lodge حريص على توفير الراحة للنزلاء، فلا يوفر الموظفون جهداً في تقديم أفضل الخدمات وضمان حسن الاستقبال. يقدم هذا الفندق العديد من الخدمات الكفيلة بإرضاء أكثر الضيوف تطلباً. لقد جهزت هذه الإقامة الفندقية بعناية فائقة لتوفر مستوى عالي من الراحة. في بعض الغرف يجد النزيل سجاد, بياضات, مرآة, مناشف, كاشف دخان. سواء كنت من محبي الرياضة أو كنت تتطلع لتفريغ عناء نهار صعب، ستجد خدمات ذات مستوى عالي بانتظارك كمثل مسارات المشي. مهما كانت أسبابك لزيارة المدينة، فإن Katoomba Mountain Lodge هو الخيار الأفضل لإقامة مثيرة وممتعة. Unfortunately I now have over 30 bed bug bites after staying in Room 7 for 2 nights over the weekend. It is the only accommodation I've stayed at, outside my home, for more than 3 months so it's highly unlikely that these bites have not occurred at the Katoomba Mountain Lodge. I also had a huntsman spider crawl into my luggage in the room, plus saw bugs in the shared toilets. It's disappointing ... I'm writing this review to alert the manager to the problem as the phone seems to constantly go unanswered with no opportunity to leave a message. The location is great because it’s in the town proper with lots of stores and restaurants nearby. They also have free parking space in the vicinity. The place is a bit old but just okay for a few nights of stay. No staffs to be seen so we have to wait before someone finally answered the phone. Good location. Room very basic. Carpets and bathrooms not clean. Inadequate heating. Interesting old building full of character.... an adventure in itself. Great location in centre of town. really bad old hostel, it seems they never change bed sheets , and full of bed bugs, dirty, broken desk,smelly small room , couldn't really sleep,i arrived late there was no staff at the reception i booked a bigger room they gave me the wrong key to a smelly small room , near to the stairs which is noisy if somebody walking ,and their kitchen is closed, it seems they have got a restaurant with tables to serve the customers, but at the next morning their staff told me there was no restaurant only hostel, maybe the old one was closed , there is only one toilette for all guests,their staff r rude , like a btch on the street,(i was missing )they don't tell you anything,check out time, guest fridge or hostel fridge , anywhere to buy some food, street plan,put their stuff anywhere and you r totally confused where to put your stuff , and they tried to get your stuff the next day, they made some excuse has taken my soap in my room and want to even have my ice bag with food, it is a such cheap hostel with no at all service ,the facility r old and it is cold in the mountain, better spend a couple of more bulks at the yha , they got everything and free upgrade! 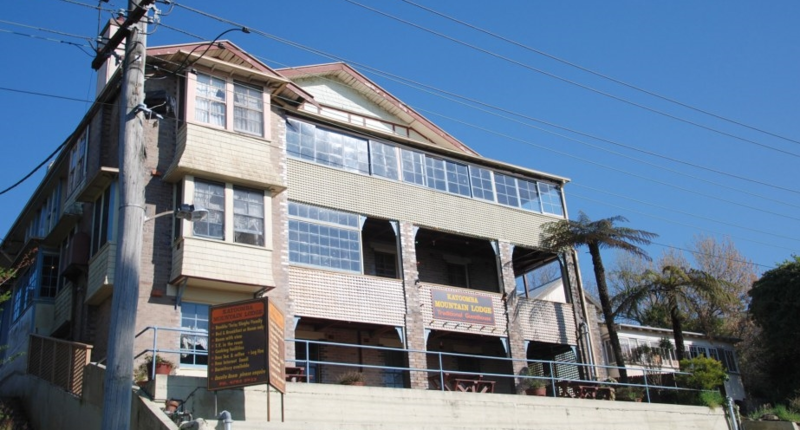 i have got the image that the katoomba mountain lodge wants to close their business soon,no beverage and hosting business anymore, they r not interested in earning money and proving service! they just to try to hire some backpackers for one or two days to keep a little bit the business running,but no service! if you have want to save a little big money and spend a lot already and get angry with anything you can try this hostel! Check in around 10 pm and door was locked. Press the bell and need to wait for more than15 mins to find someone to open the door. Shared bathroom is dirty！Price is high on a Sat night, no rooms available nearby, no choice ! Something went wrong with the payment on Agoda and the amount I paid online was not the real fare for the room. The staff was not friendly and unwilling to explain or listen to our explanation and inquiries and only ask for money. Besides, they left us waiting for over 20 minutes to check in but they told us someone would be with us for check-in within 5 minutes in the phone call. Facilities were fine, but the customer services were poor. I waited 3 hours outside of back packers because receptionist didnt receive my call. Very clean and quiet. Great central location close to train station and bus stops, restaurants and grocery stores. Very small rooms, common bathrooms. Surprisingly comfortable and very cozy. Extremely clean. Old fashion Scottish manor feeling. Great location, very good value. Katoomba is a nice little town. Nothing much going on but its nice and quiet. Lodge was a nice little room.